LIVINGSTONE Shire Council is calling local start-ups and innovators to get in touch. The call out is part of an ongoing initiative to build a network of local talent, to help unlock their potential and explore valuable funding and development opportunities. 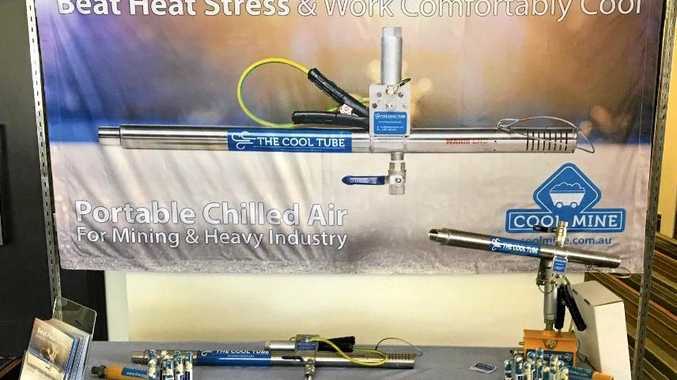 Yeppoon-based business Cool Mine is a great example of start-up success, recently receiving Advance Queensland funding for further development of their innovative creation known as The Cool Tube. The air conditioner-like device doesn't require a power source or gas and is helping underground mine workers avoid potentially fatal heat stress while working in confined spaces. Cool Mine Sales and Accounts manager Vanessa Gleadhill said the Ignite Ideas Funding for the development and commercialisation of the Cool Tube will allow for two new jobs, with eight more to be created within three years. "I think it remains important to our identity that we continue to showcase the talent and skills on offer in regional Queensland,” Ms Gleadhill said. "We have a long journey ahead with exciting new developments, so it remains important that we continue to build strong relationships right from the beginning with our suppliers, manufacturers, distributors and digital marketing promoters. It remains critical that we have competitively priced quality products that are in a constant state of evolution to the market's needs. Deputy Mayor and council's Digital Economy and Innovation Champion Councillor Nigel Hutton congratulated the forward-thinking business on their inventive idea. "In the growing digital economy, existing and new businesses need to leverage the latest technologies to engage more often and meaningfully with their customers, broaden their markets, operate their business more efficiently and/or pursue new ventures,” Cr Hutton said. "By adopting a "smart region agenda” council is encouraging innovative people to move to the Capricorn Coast region and creating opportunities to retain our smart young people, making us a much more attractive, smart and productive community overall.